Version 2.1 of savvytest features some great nifty stuff! Not only has its overall usability been enhanced again, but it virtually boosts your efficiency to a higher level by automatically creating a full set of check conditions (or assertions) from a reference run. Plus, a full integration with the integrated development environment Enterprise Developer for zEnterprise (EDz) by Micro Focus is made available with this release. This means that savvytest is now available as a certified Ready for IBM Rational Software as well as for the modern development environment EDz by Micro Focus. 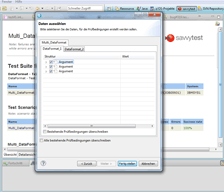 In addition to these, support for the use of savvytest in a plain Eclipse environment can be provided as well. But that’s not all! All users can profit from a new and very helpful feature in savvytest 2.1 which makes it even easier and more efficient to create test scenarios. In order to get a meaningful test, it is vital to define a comprehensive set of check conditions - also called assertions. Especially for regression testing during migrations - being indispensable to proof that no unwanted side effects on the functionality occur - it is critical to define large and detailed sets. 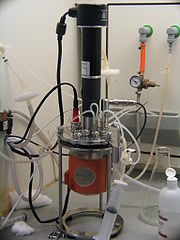 However, these means a lot of time-consuming work when done manually. With savvytest, they are just a few mouse clicks away! From version 2.1 on, a full set of check conditions can be created automatically from a reference run. Simplicity and efficiency are always our first priority for savvytest. That’s why, with every version, we continue to develop further our basic principle of providing an intuitive way to unit testing without the need for programming. Helping you to gain the best results with the lowest possible investment! However, our efforts are not confined to delivering new features, but we also to strive to further improve the usability of our user interface with every release. Let’s give you a short insight of the different aspects we are working on in our development lab. Would you like to know what we are working on in our development lab? In this newsletter, we want to share a bit of our inside story. Before a test target gets executed in a test run, savvytest transforms the XML test scenario data into the target platform’s binary representation, and after the execution, the opposite transformation from binary to XML takes place. It’s these steps which we want to move the savvytest client part in order to reduce execution time and usage of resources on z/OS. Because this also means that the z/Unix components are no longer required, another effect will be a simplified installation procedure. As a result, unit testing becomes yet faster and easier, true to our motto once again. In addition to that, these measures make it easier to use Micro Focus Enterprise Developer for zEnterprise with savvytest test scenarios. Developers will be able to execute all tests immediately without the need to compile and deploy all components on z/OS. We are also working on an easy connection to a continuous integration server like Jenkins. Test scenarios are going to be integrated with the build by the use of a plug-in component.